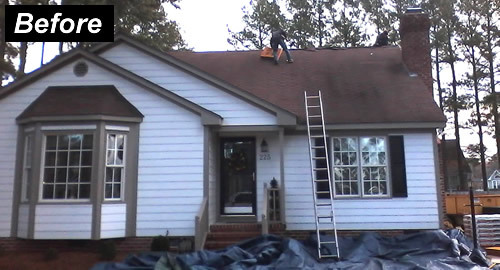 Carolina Roofing & Gutters, a leading roofing company in the Greenville area, is ready to get on YOUR project. We are a licensed roofing contractor and you will not have to wait for weeks to get your project started. We use high-quality roofing materials coupled with good ol' fashioned, southern customer service. 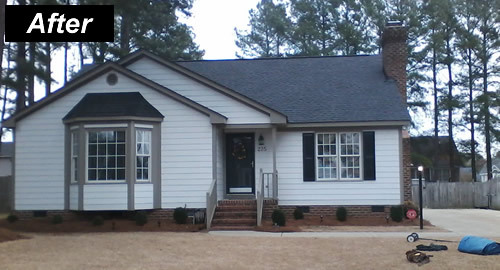 Carolina Roofing is a local roofing company. Owner Scooter King is a North Carolina native and has been installing roofing in this area for over 15 years. We can install asphalt shingles, metal roofing or whatever you want. Give us a call - we will come look at your situation and give you a Free quote. Sometimes you cannot see the poor condition of a roof - If you have a leaking roof repairs might solve your problem. We are a local roofing contractor company and we will treat your property the way we would treat our own house. Asphalt Shingles or Metal Roofing - we can do an original installation or replacement of any asphalt roof. We will use top quality materials using the manufacturers listed on this page and we will work with you to find the color and style you want. Metal Roofing - we use Union Corrugated, one of the leading metal roofing companies in the world. Make sure you ask any roofing company about whether they are licensed and bonded. Also, make sure they have liability insurance and that all workers have Workman's Comp insurance - this protects YOU from shoddy companies. Ask for references. Any good roofing company is happy to give you names of customers they have recently served. Call these references and ask questions. 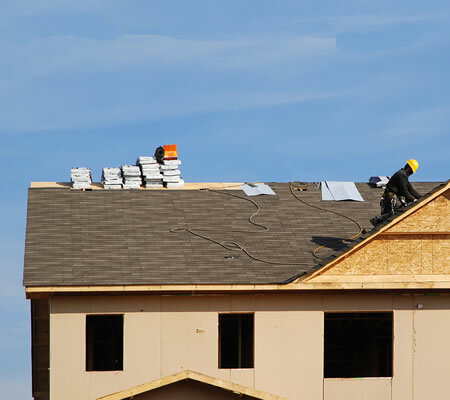 Find out if the roofing company uses sub-contractors. If they do, make sure all sub-contractors have insurance, Workman's Comp, etc.